Dementia is not a disorder, rather it covers a group of symptoms that are linked to brain degeneration and cognitive dysfunction. People with dementia lose their memory bit by bit as their cognitive functions slowly decline. As the disease progresses, dementia causes a person to lose his or her ability to perform daily tasks. They even end up forgetting their family’s faces and names. Various treatments are currently being developed to help treat dementia. Research also shows that there are medicinal plants that may help prevent and treat dementia naturally. Dementia has various symptoms although memory loss is the most common. At first, it may seem that the person is just forgetful. 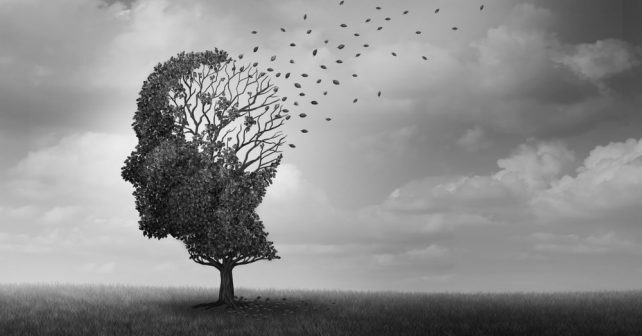 However, the memory loss will become more and more evident, as the person will start forgetting things that are a part of his or her daily routine. It’s common to find people with dementia forgetting about their home address. In the end, they may even forget how to tie their shoelaces or how to put on a shirt. When the disease has progressed this much, they will no longer be able to perform their daily functions so they will be dependent on others for their daily existence. There are also cases wherein dementia impairs a person’s visual perception, thus causing hallucinations. Focus, attention, problem-solving skills, and reasoning skills are also adversely impaired. People with dementia also lose their language skills. Initially, it will manifest as a difficulty in finding the right words. Eventually, they will have difficulties expressing themselves and they won’t be able to communicate properly. As cognitive function declines, dementia will cause a person to lose his or her ability to reason, plan, organize, or handle complex tasks. Dementia may also cause a person to change personalities as they lose control of their emotions. All these behavioral and psychological changes are painful for the family members. Yet, it’s almost always a family member or a spouse who will notice the symptoms first. If you happen to notice a loved one or family member showing possible signs of dementia, the best thing you can do is to get an early diagnosis. The bottom line is that once dementia starts, it cannot be fully reversed anymore. In short, as of the present, no complete cure for dementia has been developed yet. Nevertheless, through early intervention, the symptoms of the disease can be alleviated and managed. Cholinesterase inhibitors are often prescribed to people with Alzheimer’s disease and other forms of dementia. This medication prevents the breakdown of acetylcholine, a neurotransmitter that plays an important role in the smooth functioning of the muscles as well as in sleep regulation. Hemp oil/cbd oil has been shown to significantly improve brain function, as well as aid with symptoms of dimentia. Acetylcholine is also crucial in various cognitive functions such as memory, motivation, and attention. Cholinesterase inhibitors may also be prescribed together with memantine, another drug that regulates neurotransmitters involved in learning and memory. Because dementia is often accompanied by other medical conditions such as depression or sleep problems, doctors may also prescribe other medications to help treat these accompanying symptoms. There are also medicinal plants that can supplement the prescribed medications. Since these are natural products, they can be taken as tea or simply added to one’s diet. Some of these herbal medicines are also available as dietary supplements. Considered the world’s oldest species of tree, ginkgo biloba offers many health benefits and is used to treat many conditions including poor blood circulation, fatigue, as well as various cognitive disorders caused by aging. 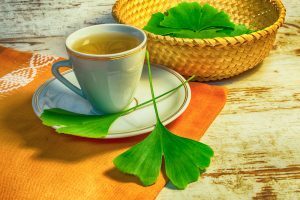 Recent studies have shown that Ginkgo biloba is associated with improved memory and that it can help relieve some of the symptoms of Alzheimer’s disease and dementia. Ginkgo biloba is well known for its potent antioxidant properties and studies have shown that protecting the brain cells from oxidative stress is one of the mechanisms by which the plant helps protect the brain from degeneration. Panax ginseng is another popular medicinal plant that has been subject to various studies. The therapeutic potential of Panax ginseng is largely attributed to its ginseng polysaccharides and ginsenosides content. The latter is considered as the agent responsible for ginseng’s neuroprotective properties. Ginsenosides are associated with improving memory impairment and preventing neurotoxicity. Turmeric is a plant that is renowned for its curcumin content. Recent studies on curcumin associate it with various health benefits as a result of its antioxidant properties. Curcumin is particularly beneficial for brain health because it helps prevent inflammation of the brain cells. It also protects against amyloid plaque formation in the brain. Moreover, curcumin also helps regulate many of the brain’s neurotransmitters. A high intake of curcumin is associated with enhanced memory which means it can help reverse or at least alleviate the memory impairment caused by dementia. 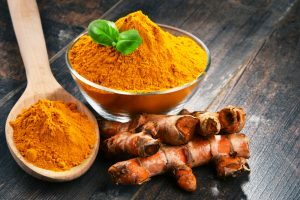 Another reason why curcumin is important for brain health is that it helps fight oxidative stress in the brain and protects the brain cells from noxious and toxic substances. Glycyrrhiza is simply your common licorice which is used as a flavoring agent for various foods, beverages, and even candies. The truth is, licorice was considered as a cure-all tea in ancient Egyptian culture. That’s because licorice can help treat numerous medical conditions and it’s great for your digestive and respiratory systems. Licorice also has anti-cancer and liver protective properties which is why it’s often used to treat jaundice and hepatitis. Recent studies have shown that licorice may help alleviate several symptoms associated with Parkinson’s disease, Alzheimer’s disease, and dementia by protecting brain cells from oxidative stress and downregulating toxic substances in the brain. If you regularly drink green tea, then you’re doing your brain a favor. Derived from the dried leaves of the plant Camellia sinensis, green tea is another medicinal plant that is known for its antioxidant and neuroprotective properties. Green tea also has many other health benefits and is often recommended for people who are struggling to manage their weight or control their blood sugar levels. Green tea is also considered to help improve cognitive functions.